The first of May – or May Day, has a load of stuff pinned to it – from way back to raucous pagan celebrations, the Celtic fest of Beltane – or in central northern Europe ‘Walpurgisnacht‘. For me it contours images of getting in a tangle round the school Maypole. 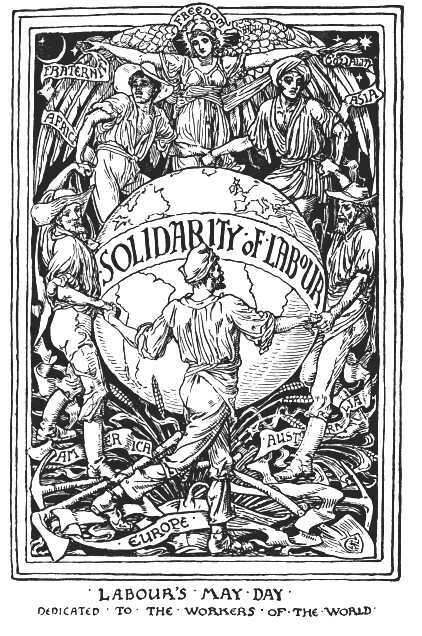 Regarded today as International Workers Day. 1st May celebrations were born out of of commemoration for the Haymarket Martyrs, 1886 in Chicago. As a demonstration gathered during a general strike for the eight-hour day, a bomb was thrown while police tried to disperse crowds – police reacted with pistol fire and 4 demonstrators were killed. Hence, a whole load of demo-ing went on between then and 1904, when the Socialist Party and Trade Unions were called in by the Second International Congress to kind of promote – in all countries, energetic demonstration, for the legal establishing of the eight-hour day, also to respect the class demands of the proletariat and let’s not forget universal peace. Quite a tall order. As for todays playlist – eight in all, and keeping with the general theme. Never Been In A Riot by the Mekons, written in response to White Riot by The Clash seems like a good place to start.